PB Earthworks is a Gold Coast and Brisbane – based company providing top notch earthmoving and excavation service to entire client community. We have built a solid reputation on delivering high quality of workmanship and strong commitment to customers. Over the years, we have succeeded in forming an outstanding group of dedicated people who have raised the company to a new level of skill and performance. With 12 years of experience our experts works to ensure that the customer receives a professionally complete and precise service. 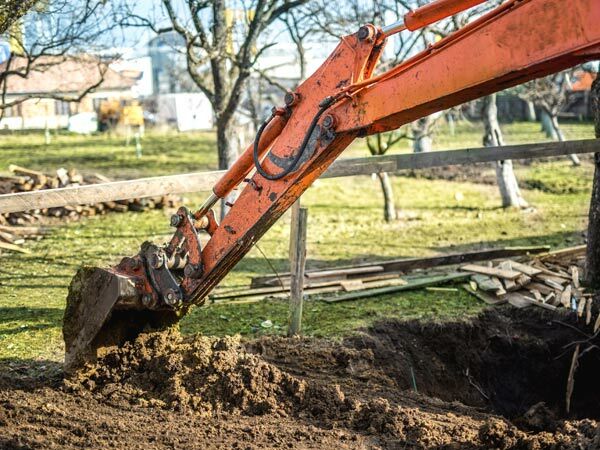 Our team of experts pride themselves on providing earthmoving and excavation services on time and on budget. Our first concern has always been the customer. We are committed on providing an efficient, high-quality and cost-effective service to all customers. Our experts know that all customers have a common desire – to maximize available time and minimize cost. No job is too big or small for professionals here. We make every effort to get the job done quickly and efficiently to keep costs to a minimum whilst without compromising with the quality. With over 12 years in the business, our equipment’s are fully insured with all current risk assessments. All our experts are comprehensively insured, licensed ad experienced in handling projects for both commercial and residential properties. No job is too big or small for us. We take pride on every earthmoving and exacavation service provided to our clients at reasonable prices. Once you make booking with us you can rest assured that you will be provided with top notch quality services. Contact us now for further information regarding earthmoving and exacavation service in Gold Coast.